To truly and properly enjoy a role-playing game, you need a group to play with. Finding a group—especially the right group—can be a major hurdle to participating in this really excellent hobby. This guide will help you find fellow gamers no matter your location or age. Every time we write about RPGs on io9, the comments are filled with people bemoaning their inability to find anyone to play with. You might have played when you were younger but feel like you don’t have time now that you’re an adult with a job and kids and a zillion responsibilities. Maybe you’re moved to a new city and don’t know how to meet role-playing gamers. Or you’re interesting in getting into RPGs for the first time, but you’re intimidated and don’t know where to start. First off, let’s talk about “the right gaming group.” There is no single perfect group. It all depends on what you want out of your gaming sessions. Some groups are more about having a few beers and laughs while playing, others are more serious. If you’re an adult, a group of other adults who understand that D&D isn’t your first priority might suit you better than a group of college kids. Some groups have been playing Shadowrun every week for the last 12 years, others try out new games and systems every few weeks. There might be some trial and error involved—don’t be discouraged if you try a few groups and don’t find a good fit right away. And remember that groups evolve over time as well. One last disclaimer: follow the usual safety protocols when you’re meeting strangers from the Internet. The most important ingredient in any gaming group is friendship. It doesn’t matter if someone is a rules expert or a brilliant writer, it matters that you enjoy hanging out with them. It does help to game with people who are creative or at least willing to be a bit silly at the gaming table, but mostly you just need people you like. So just ask the people you already like if they want to play D&D sometime! This has become much more viable in the last decade or so, as fantasy and geek culture have deeply infiltrated mainstream consciousness. 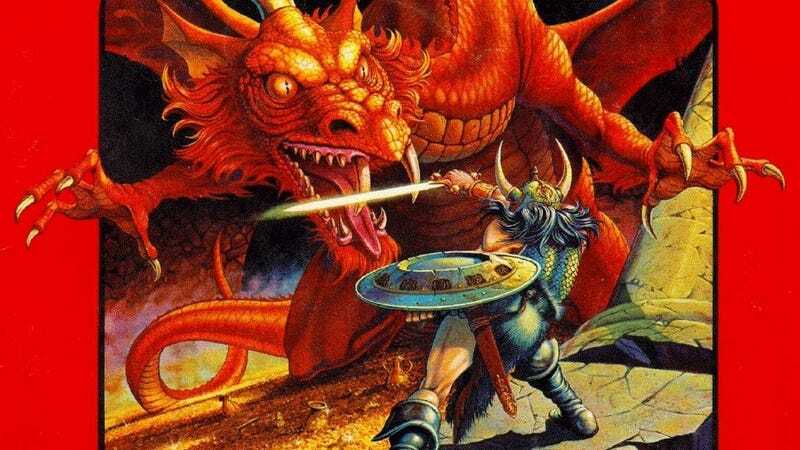 Playing RPGs has much less of the stigma it once had, and thanks to Lord of the Rings and Harry Potter, tons of people are into wizards and elves and grand adventures. Put the word out. Post to Facebook that you’re looking for people to game with. See if your significant other is interested, and maybe has some friends or co-workers who’d like to play too. I’ve organized a couple of newbie gaming sessions this way and literally had to turn people away because there were so many responses. You’re likely to get a fair number of players who’ve never played an RPG before, so I recommend something designed for beginners to let everyone get their feet wet. The D&D 5th Edition Starter Set or the Pathfinder Beginner Box are both solid jumping-off points. Lots of game stores host weekly game nights, many of them officially sanctioned by the company that produces the game. D&D Encounters and the Pathfinder Society are the two most prominent examples. You might find a bulletin board with notices posted by groups looking for new gamers, or players looking for groups, or the store might have a calendar of events. If you don’t see anything, just ask the shopkeep (I’ll admit that game stores can be hit-or-miss, so talking to the staff can provide a good gauge on whether or not that particular place is going to make you feel welcome). The benefit of this method is that it requires minimal commitment. A lot of weekly in-store games are walk-up, drop-in and play type games, so you can play as your schedule allows or just stop playing if the group isn’t much fun. Ideally, you might meet some other players that you click with, and that can lead to forming a more permanent gaming group. The other benefit is that you can meet your new gaming friends for the first time in a public place, which is always a good idea. Gamer seeking gamer classified ads are a great way to narrow your search for a gaming group. You’ll tend to find more experienced gamers this way, although there are plenty of ads from newer players looking for groups or groups that specifically say they are newbie-friendly. Your options here range from very general sites (you could post to your local Craigslist, I guess, and there are plenty of gaming Meet-up groups) to a plethora of sites devoted to connecting game groups. There are Reddit boards and forum posts all over the place, along with game-specific forums hosted by the companies that make those games. Wizards of the Coasts forums used to be a great place to find people to play D&D, but they recently (and inexplicably) announced they’ll be closing their forums down completely at the end of October. One of the chief benefits of this method is that most gaming connection sites will let you search based on a variety of parameters like age, favorite game, maturity level, and other factors. This isn’t the ideal solution—playing a tabletop RPG over the Internet definitely removes a lot of the social appeal of the game. Frankly, I’m not a big fan of it. But I understand that circumstances can make it a necessity—if you live in a really small town, can’t find a group for other reasons, or your usual gaming friends have been flung to the far corners by life’s slings and arrows, it might be your best choice. I’ve used all of these methods to find players over the years. Eventually you’ll settle down with a fairly steady group—if you’re lucky, some of them will become your best friends (that’s certainly been my experience). The group will change as new people join and others move away or stop playing as often. Ultimately, you may find you have the opposite of the original problem—more people will want to game with you than you can’t possibly find time to play with.